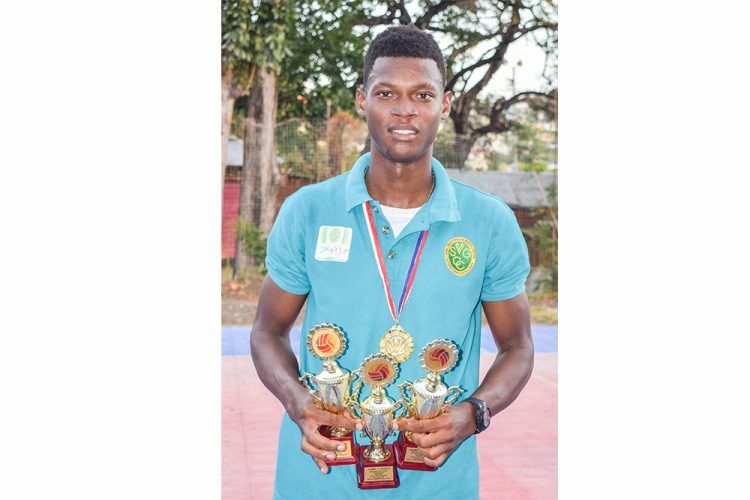 National player Ronaldo Franklyn, led Year One Arts, Sciences and General Studies to the 2019 Quickcash Corp, Vitamalt SVG Community College’s inter-divisional volleyball title, last Friday at the Arnos Vale Netball Complex. Franklyn was the fulcrum for the eventual winners, who had lost the first set at 21-25, to the 2018 champions Technical and Vocational Education. But Franklyn was able to rally his team to the title by taking the next three sets at 25-21, 25-23 and 25-20. Franklyn was named player of the final, his team’s MVP, as well as the competition’s overall MVP. Other awardees were Joshua Cupid and Miguel Cruickshank, who both shared the MVP award for the Division of Technical, while Arnel Horne was of Year Two Arts, Sciences and General Studies’ MVP. The MVP for the Division of Teacher Education was Akeel Jack, with Enrico Nedd, the recipient for the RSVG Police Youth Club. Next on the SVGCC’s calendar is athletics.